John and the band will play the Grammy pre-telecast show tomorrow, streaming live on the Grammy website and CBS.com, Sunday, February 10, starting at 1pm Pacific time (3pm Central, 4pm Eastern). 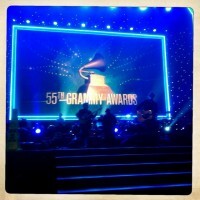 The Grammy telecast will be live on CBS at 8pm Eastern. Friends of this site may remember that John was interviewed by the Wall Street Journal’s Jim Fusilli last month at the All Good Cafe in Dallas. Last week John was in NYC, and he paid a visit to Jim at the Off Duty Studio. 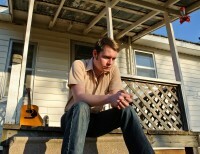 The Boston Globe posted a great interview with John Fullbright this past Sunday. 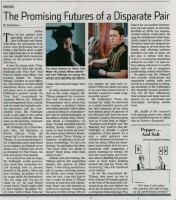 We were all very pleased and proud to see John in a Wall Street Journal article about two up-and-coming artists. Jim Fusilli caught John’s show at the All Good Cafe in Dallas a few days ago, and shared his thoughts.